CEDAR RAPIDS — Father Mark J. Reasoner put his heart and soul into his vocation as a priest each day, from the moment he opened up the doors of St. Jude Parish every morning before 6 a.m.
Father Reasoner, 53, died unexpectedly while in the parish rectory. The former pharmacist heard the call to the priesthood, following it to seminary in the early 1990s. 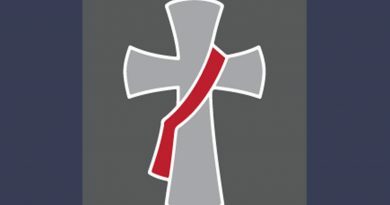 Since 2005, he served as the pastor of the Cedar Rapids parish, the longest single assignment in his ministry, and it is there where the full scope of the loss is just beginning to be felt. “Besides being a leader for us, he was our friend,” said Monica Robinson, a parishioner and educator in the Holy Family School system. 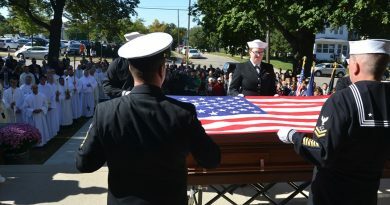 Robinson, her husband and four children remember countless social interactions with the priest as well as his regular visits to her classroom about once a month where he would speak with students about current events or even offer a card trick now and then. In recent years, Father Reasoner led the parish through two capital campaigns to build a community center and make other improvements to the parish facilities. 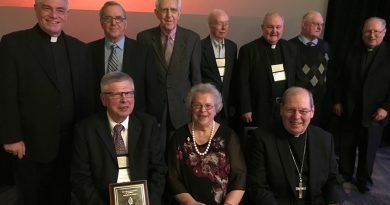 He was also instrumental in the founding of Metro Catholic Outreach, a cooperative effort of the Cedar Rapids Catholic parishes to provide for the social and physical needs of the poor and others. 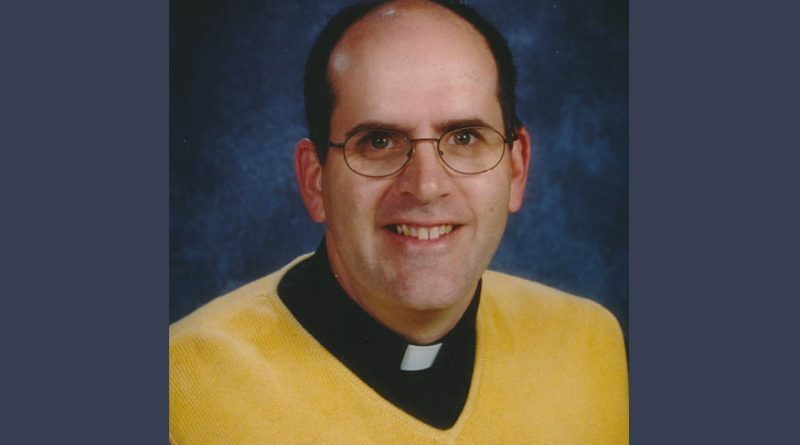 In his spare time, the priest enjoyed golf and was an avid fan of the Iowa Hawkeyes and the Cubs. “He said the Cubs are the team for Christians because we always have to have hope,” recalled Tressel. Father Reasoner was also known for being able to engage with and foster cooperation among parishioners. For the upcoming Easter season events, provisions have been made. Father David Schatz will be celebrating the Palm Sunday liturgy, and Father Jerry Kopacek will celebrate the Easter triduum, according to Tressel. The parish gathered for evening prayer March 20 and a vigil March 21. Father Reasoner’s funeral Mass and burial was scheduled for March 22. A Friday fish fry and Palm Sunday potluck dinner were slated to go on as normal. So far, there is no news on who might take over as pastor. “There’ll be decisions made in the near future,” said Tressel. For now, the community of St. Jude Parish is praying for and remembering their longtime shepherd.